As one of the most prestigious Buddhist temple in Japan and ranked high among Japanese Buddhist temples, Nanzenji at first glance seems like a place where Buddhists would visit for pilgrimage or to pay homage. But Nanzenji has a lot to offer besides its religious prestige– rich with history, beauty, and philosophy, this temple is an architectural gem that will awe any visitor, whether he or she understands Buddhism or not. 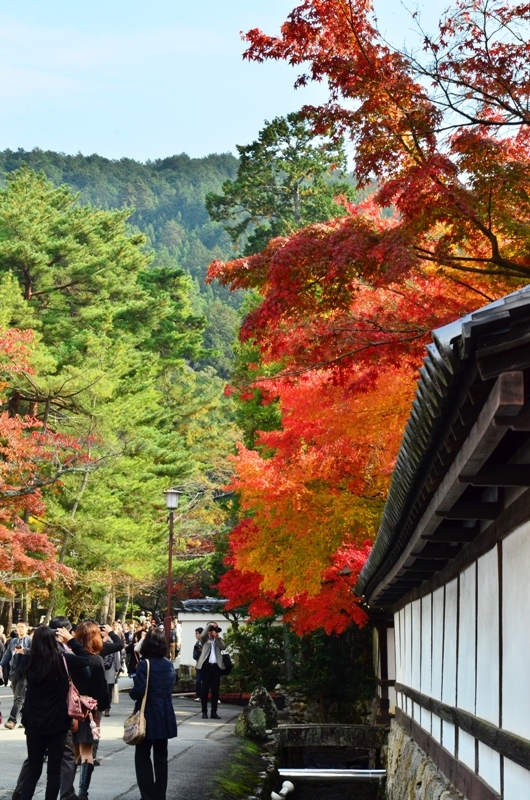 Like so many other locations in Kyoto, Nanzenji offers a spectacular view of the fall foliage to every visitor. 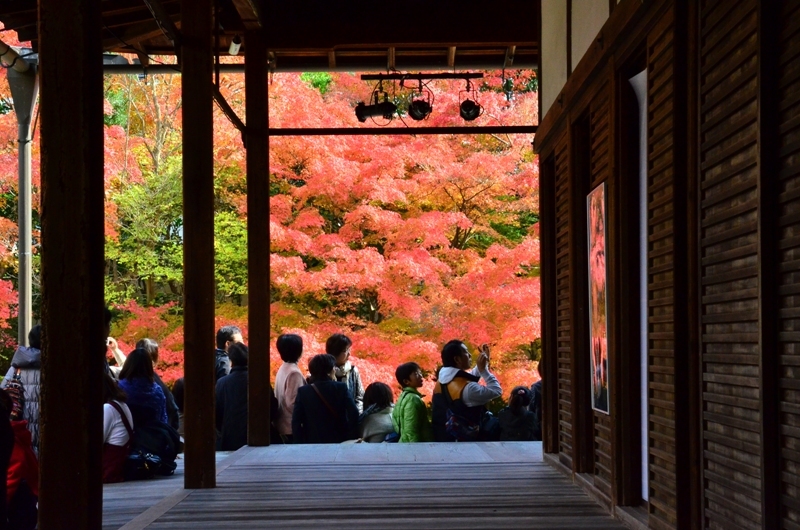 In Japan, there is a special term dedicated to enjoying the fall foliage. Isn’t it bizarre to think of “hunting” for maples? People usually hunt bears, raccoons, birds, but not maple leaves! Similarly, in spring time there is “sakura’gari,” which is cherry blossom hunting. These terms show how intimately close a Japanese is to the four seasons and enjoying the not-so-subtle change in the four seasons. Appreciation of nature is not only popular amongst people, but it is also perhaps an important tenet of Buddhism. That is why Nanzenji showcases the fall foliage so that all visitors may come and show respect and immerse themselves in the philosophical beauty of nature. 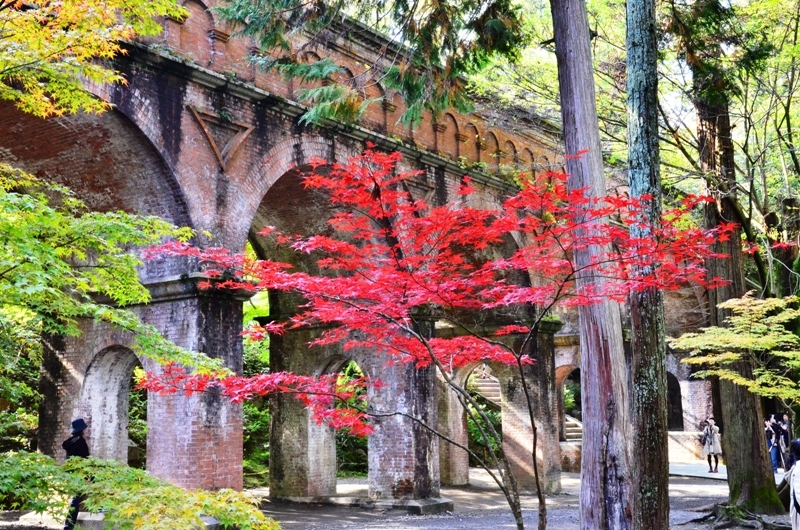 At night, the foliage will be lit up for visitors to be able to enjoy the bright red, even in the dark. Do you see the show lights at the top of the building in the picture below? Yep, you saw it right– these are used to light up the maple and gives the spotlight to the trees! Who would have thought? You’ve probably seen actors and actresses on stage with the spotlight on them… But on a maple tree? It just goes to show how much fall and foliage is popular in Japan! Nanzenji offers a beautiful Zen garden within its boundary. The garden is open to the public, and you may be able to see it by walking through the temple. 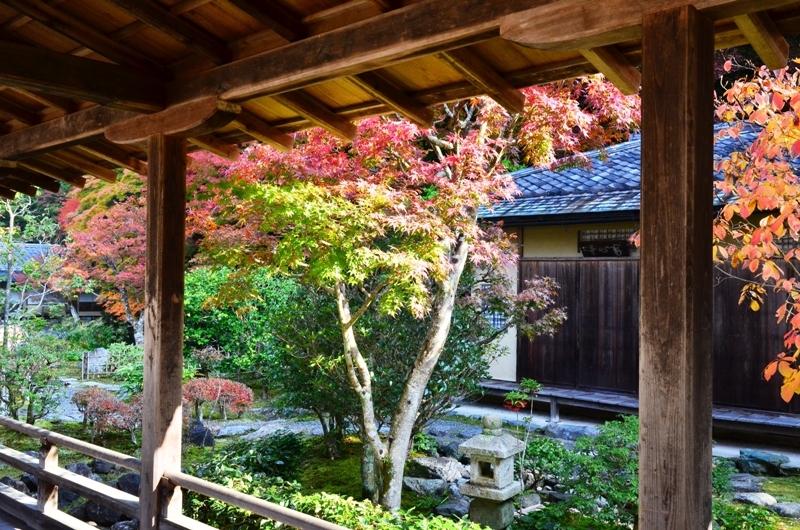 Every garden in Japanese Buddhist temples are well thought out, and even a green moss, which may seem like mold or some unwanted plant, is actually placed there very carefully. 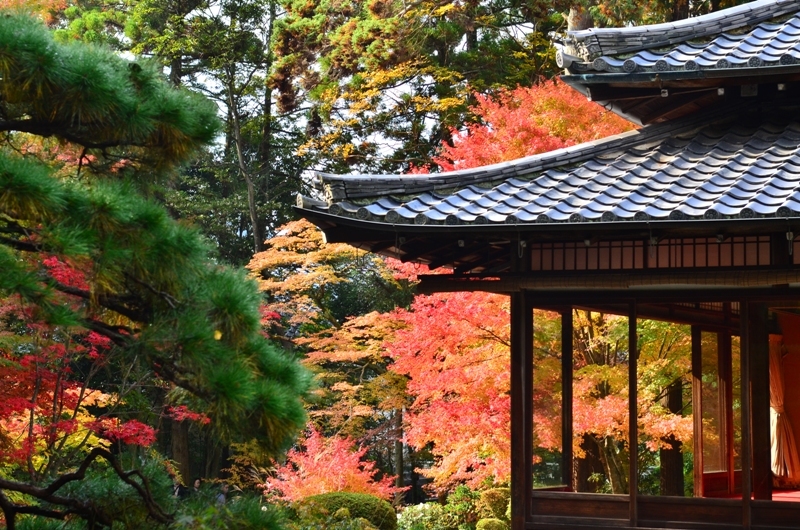 Every movement, sound, appearance in a Zen garden is calculated, and it will take another blog post to explain what each element in a garden symbolizes and signifies. We will leave it up to the theologians and art historians to sort out the meanings in the garden! Nanzenji, like many of the other shrines, temples, and other structures in Kyoto, pulls its water from the Biwa Lake, the biggest lake in Japan. A landmark of Nanzenji, and perhaps one of the most iconic landmarks of Kyoto, is the “Suirokaku,” or the aqueduct, which to this day carries the water from Biwa Lake and delivers it to Nanzenji temple. Many a Japanese movies, dramas, and sitcoms have been shot at this location, and it is a popular destination for tourists as well. The aqueduct has a retro ambience that somehow fits perfectly with the natural landscape that surrounds it, creating a unique harmony between manmade structure and nature. 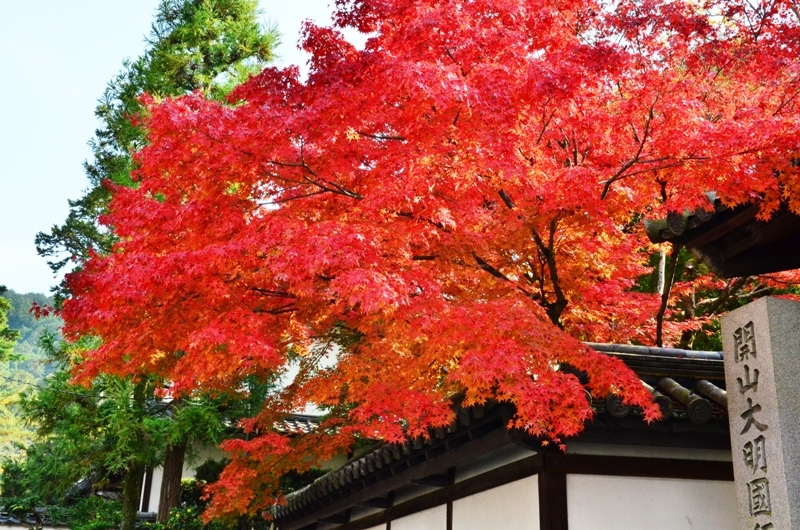 Fall and early winter is a popular time to visit Japan. Japan during the foliage is even more popular, and it is probably easy to understand why, after viewing all the photos of Nanzenji. Don’t be disheartened, though– Nanzenji at any other time during the year is equally beautiful, and the prestigious temple awaits your presence and enjoyment. 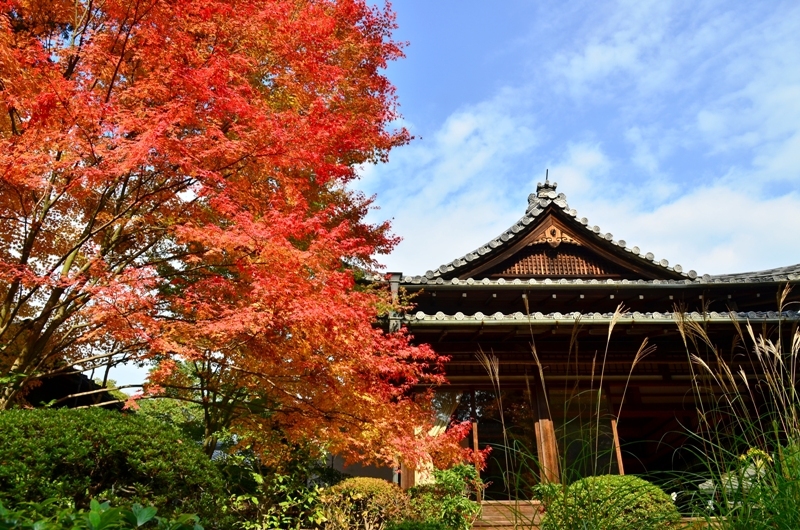 A tranquil time at a Buddhist temple will allow you to recuperate and recharge for upcoming festivities and activities of visiting Japan and its big cities. But for now– just relax, breathe in the fresh air, and immerse yourself in a place that offers much more than religious history and practice– Nanzenji’s beauty is like candy to the eyes.